Rosacea is a long term or chronic skin condition that affects a large amount of both women and men. It is often seen in caucasian skin but can affect all skin types. Research is ongoing as to why some people develop Rosacea and others do not. However we do know that in a person who has this skin condition, there are a number of common symptoms as well as common triggers that lead to the onset of a flare-up. 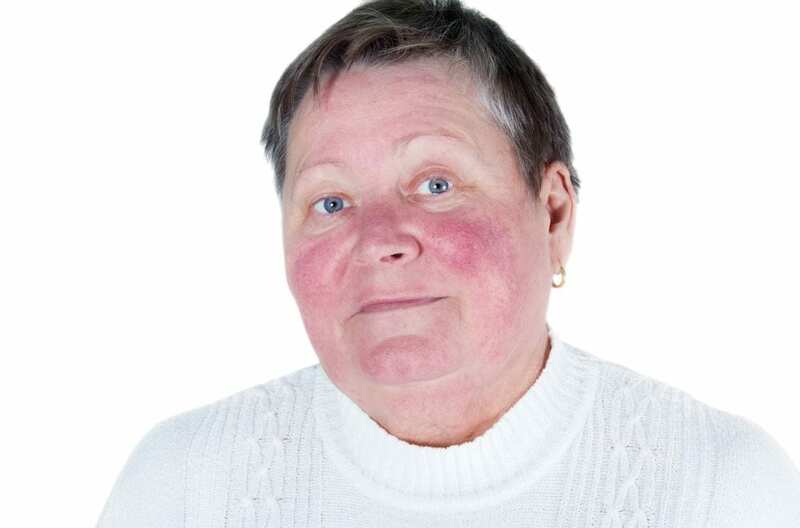 There are four different types of Rosacea and the symptoms will vary depending on the specific type of Rosacea that a person has. It is also possible to have more than one type of Rosacea at the same time. Usual symptoms include flushing and redness but depending on the severity can also include the appearance of small broken blood vessels, acne like pustules, permanent redness or a burning sensation in the skin. Rosacea typically appears on the face around the forehead, nose, cheeks and chin. One type of Rosacea also affects the skin around the eyes. Common known triggers that will lead to a flare-up of Rosacea include stress, certain food and drinks such as spicy food, dairy products, certain medication such as vitamin B supplements, alcohol and caffeine. Variations in temperature can also be a trigger for the onset of Rosacea. These are some of the common external triggers but there are many others. For anyone diagnosed with Rosacea it is important to avoid or manage the external events and factors that lead to a flare-up. While there is no complete cure for Rosacea with the use of topical and oral medication it can be improved and the symptoms can be kept under control. Light based treatments such as IPL and Laser can also help to improve the appearance of the telangiectasia or redness that appears as a consequence of the Rosacea. The objective in treating Rosacea is to rebuild and protect the compromised structure of the skin. To learn more about the Rosacea treatments that we offer or to book a consultation with a Dermatologist, please telephone us on +44 20 7935 6358, send us an enquiry on the Contact Us Page or email appointments@drhausdermatology.com.